Kevin Lynch (USA; now resident in the Netherlands) will give a Mandolin Master Class, beginning at 13:00, on Sunday 13 December 2009 in a private farmhouse studio at Appingedam, Groningen, in the north-east Netherlands. 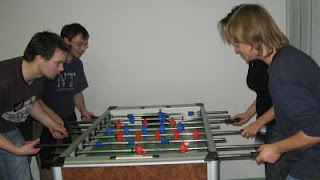 The class is limited to a maximum of eight students. All levels are welcomed. * Each session is 90 minutes in length. Limited additional time is possible. * Sessions include Group instruction; plus One-on-One private tutoring. * Master Class fee is €45 per student / per session. * Registration and payment in advance is required. * Be tuned-up and ready to start on time! * Learn how to improve your own unique style of playing. * If there is time - a group jam before we return to real life! * Kevin is open to addressing any issues, wishes, and needs a player may have. * All questions and suggestions are encouraged. To sign up, send an e-mail to Kevin, who will send you a one-page .pdf file with complete details. Lluís Gómez reports that the Al Ras Old-Time & Bluegrass Festival, held last weekend at Mollet del Valles, Barcelona, Spain, was a great success. Lluís sends this link to a review of the Festival by Jean-Marie Redon and Sharon Lombardi, who were performing there as members of Blue Railroad Train. Also on the schedule were Lemak, from Aquitaine, France, whose original material is in the Basque language; the hosts, Barcelona Bluegrass Band; a Guitar Estravaganza; German dobroist Martin Gross; the Hillbilly Gypsies (Trae & Jamie Lynn Buckner) from Virginia, USA; and the Barcelona Ceilith Band. Photos of all the acts can be seen in the Redon-Lombardi report. The report - which includes good advice on other things to see in Barcelona - appears in French; the website has a translator. More reviews are expected soon. Next year's Festival will be held on 6 November 2010. In the November/December 2009 issue of the e-magazine Bluegrass & More the Scottish Bluegrass Association reports that Blue Highway (above) and Alecia Nugent will celebrate the fortieth anniversary of US label Rounder Records in the Glasgow Royal Concert Hall on 19 January 2010 as part of the Celtic Connections 2010 festival (see the EBB post of 28 October). Celtic Connections 2010 tickets are on sale now and can be booked online or by phone (+44 (0)141 353 8000). 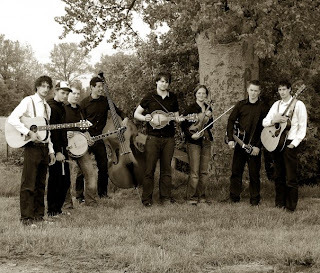 The November e-newsletter of the British Bluegrass Music Association reports that Blue Highway celebrate their fifteenth anniversary with a special concert in Roanoke, VA, on 18 December. 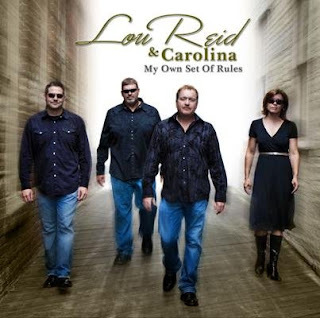 The band played their first show on New Year’s Eve 1994, with Tim Stafford (guitar), Shawn Lane (mandolin), Wayne Taylor (bass), Jason Burleson (banjo), and Rob Ickes (resonator guitar) - the same personnel as today. The occasion will also be marked by their CD Some day: the fifteenth anniversary collection. Blue Highway were recently in Europe at the Johnny Keenan Banjo Festival at Longford, Ireland, in September 2009. Subscribers to Bluegrass on the Tube receive by e-mail a video every day of bluegrass music, chosen from a very wide assortment of performers. Today, subscribers received 'Where the tall grass grows' by the G2 Bluegrass Band from Sweden (#1 European Bluegrass Band 2007), who are making a big impact in the USA. The song can also be heard on Cosmos Records' YouTube channel, together with G2's 'All I need'. Other videos of the band at live shows can be seen on their MySpace site. G2 have recently been spending time in the recording studio. Editors' note: With the publication of this post, there are now 1,000 posts on the European Bluegrass Blog. The UK old-time music organisation FOAOTMAD draws attention to Banjo Roots, a MySpace site set up by the Banjo Roots Network, hosted by Shlomo Pestcoe and Greg C. Adams as one of a series of linked sites that explore the earliest phases of banjo development from the roots in West Africa. Banjo Roots is already a useful reference work for early banjo history, and the Network is intended to assist future cooperation among researchers. 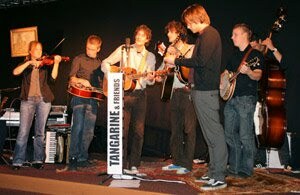 The MySpace site includes a video shot by the late Theo Lissenberg, formerly bass player and lead singer with 4 Wheel Drive, at the 1992 Tennessee Banjo Institute. This video was edited by the Swedish banjo historian Ulf Jagfors, and can also be seen on Ulf Jagfors's YouTube channel. In addition to the news from the Czech Republic, Bulgaria, and Portugal that has appeared on the European Bluegrass Blog since 6 November - provided by EBMA national representatives - the next issue of Bluegrass Europe magazine will include national reps' reports from France, Switzerland, Germany, and Ireland. and Richard Hawkins reports on the new crop of successful mini-festivals in different parts of Ireland. (1) A flatpicking guitar workshop by Oliver Waitze on 21 November 2009, from 10.00 a.m. to 5.00 p.m. This workshop is for everyone who wants to improve their plectrum playing. All levels of players are welcome! Fields coveredwill include bluegrass fiddle tunes, rhythm, melody, right-hand exercises, Lester Flatt G-runs, endings, crosspicking in the styles of Clarence White & Tony Rice, lead picking, gourmet licks a la Tony Rice, scales... and previews of new publications. Admission: €90. ... I'm trying to break the borders of the flatpicking technique in a creative way, experimenting new 'full sounding' solutions to obtain a sort of a 'plectrum-fingerstyle' sound in an unusual synthesis. Oliver Waitze and his setting of 'President Garfield's hornpipe' are also featured in Flatpicking Guitar Magazine, xiv, no. 1 (Nov./Dec. 2009) and the NAG itself is featured in the current issue of Folker magazine. Read more on the NAG online newsletter. Leadership Bluegrass 2010 applications are due next Friday, 13 November! If you know people who you think should apply, please tell them about LBG and that the application deadline is 13 November. They can learn more about LBG and download the application form here. Be sure to let them know that because only twenty-five people are in each year's program and that there are far more applications than spaces, that they may need to apply several times and shouldn't be discouraged if it takes awhile for them to get into the program. (Some folks have had to apply over four times before they could get in). Bluegrass Jamboree! Festival of Bluegrass and Americana Music 2009 - which will bring the Steep Canyon Rangers (USA), Beverly Smith & Carl Jones (USA), and the Toy Hearts (GB) to sixteen venues in Germany and Switzerland between 5 and 20 December 2009 - now has a new video trailer, including photos of all three acts. The trailer can be watched on the Jamboree's own website, on YouTube, or on Ruth Ellen Gruber's Sauerkraut Cowboys blog. Andre Lentilhas, banjo-player of Stonebones & Bad Spaghetti (above), the only bluegrass band in Portugal, reports that the band will be playing in a major festival in Pínzio, Pinhel, Guarda, Portugal - the Festival das Artes e da Terra. The concert will be held on 6 December 2009, at 5.00 p.m.
For more information go to the Festival website (in Portuguese). Thanks to Hans-Bernd Sick, who sends the schedule of a tour in Germany, Austria, and Belgium by guitarist Beppe Gambetta, beginning next week. The tour will introduce Beppe Gambetta's latest CD, Collection, just released on Peter Fingers's Acoustic Music Records label. Dates and locations are shown below; all events are solo concerts unless otherwise stated. Full details, including websites, addresses, and contact data, can be seen here. 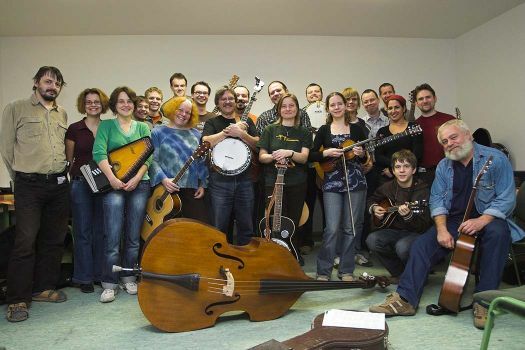 In addition to the recent PBB workshop featured on the European Bluegrass Blog on 19 Oct., Petr Brandejs reports that the number of bluegrass-related bands on the Czech Bluegrass Music Association (CzBMA) website has risen to 208. The CzBMA organised a fine concert of the Special Consensus (USA) in Jicin, Czech Republic. IBMA president and banjo player Greg Cahill and his boys had such a good time afterwards that they unfortunately overslept and missed their plane the following day from Frankfurt to the US. Pictures from the show can be seen here. New recordings by Czech bands: Benefit have a new CD out, recorded live in the studio; Monogram are preparing a new CD, mostly with original material by their lead singer, Jakub Racek; and the Petr Brandejs Band have started work on their next CD. This time it should be in Czech, specially for children. It will include some originals, but mostly bluegrass standards with (hopefully) funny Czech lyrics. Thanks to organiser Laurent Eckhout for news of the 5th Picnic Festival (Friday 4 September-Sunday 6 September 2009) at Namur, Belgium, which opened with the G2 Bluegrass Band playing in concert on Friday. On Saturday, the usual 'bluegrass day' of the festival, Tabea Anderfuhren & Friends (her bass player, who accompanied her from Switzerland, and two Belgian musicians) played both on the main concert stage and in the 'Irish Pub' venue. Irish Grass (Steve Louvat, banjo; Philip Masure, guitar; Dirk Naessens, fiddle; Patrick Michiels, bodhran) combined bluegrass with traditional Irish music. 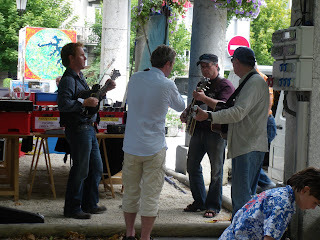 Rawhide (above), Belgium's oldest bluegrass band, with their great harmony vocals and amazing instrumentals, were followed by Jacques Stotzem, presenting acoustic arrangements for solo fingerstyle guitar of pop-rock hits from U2, Radiohead, Jimi Hendrix, and similar sources, as on his Catch the spirit album. G2 wound up the bluegrass part of the festival with an exciting concert for a huge audience, and then jammed with other pickers until late into the night. Next edition will happen on 3rd, 4th and 5th of September 2010. Welcome to all bluegrass, Celtic, and acoustic music fans! Update 7 November 2009: In addition to the Picnic Festival website, Laurent sends this link to the website of the Namurimage.be agency, whose photographers have taken fine photos of all the Picnic Festivals so far. Contact Laurent Eckhout by e-mail. Thanks to Hans Wolters, DJ of 'Hans's Super Service Grass Station' on the World Wide Bluegrass network, for the news that Jan van Cep's Second Annual Christmas Bluegrass Jam Session will be held at 3.00 p.m. on Saturday 12 December 2009 at the Country Home, Jan van Cep, Hoofdstraat 11, Amstenrade, the Netherlands. Everybody is welcome - both musicians (beginners and experienced) and listeners. For info call Jan van Cep (+31 046 4421408) or Hans Wolters (+31 046 4755980). You can see and copy the Jam Session flyer here. 'Hans's Super Service Grass Station' is broadcast on Thursdays from 12 noon to 2.00 p.m. Eastern Time on the World Wide Bluegrass network, corresponding to 6.00 to 8.00 p.m. (GMT+01:00) in Amsterdam. Wayne Taylor & Appaloosa (USA) recently made an eighteen-show, thirteen-day tour of Scotland and England under the auspices of the Scottish Bluegrass Association (SBA), including workshops and two Music in the Schools presentations funded by the SBA and the IBMA. Photos from the band's trip can be seen in a photo gallery on their website. In a post on the original Bluegrass Blog on 2 November, Wayne Taylor explains how the tour had been the realisation of an idea first put forward by John Sheldon (now secretary of the SBA) in 1995, at Rosine, KY. On the same occasion, John Sheldon promised Bill Monroe, the Father of Bluegrass Music, that he would do all he could to promote bluegrass music in the United Kingdom. 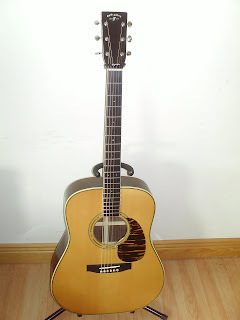 The Bluegrass Blog post is entitled 'A promise fulfilled'. The Black Crown String Band from California have brought out a new CD and are preparing a tour of Britain and Ireland for September and October 2010. They can be booked through the Brookfield Knights agency. The band, whose members come from varied backgrounds in bluegrass, old-time, and even classical music, consists of John McKelvy (guitar, lead vocals), Tim Hicks (mandolin, harmony vocals), Elise Engleberg (fiddle), Matt Knoth (banjo), and Rob Mellberg (bass). ... All Hallow E'en, when the Danes light bonfires to send the witches back to Germany. Or so I was told by a Dane some years ago. Does the Dane who told her that remember the occasion?